Internship documentation have been updated. Current documentation will be taken into consideration. The first informative session of BBM453 Computer Networks Lab course will be held on Monday (25.02.2019) at 11:00 in D9 classroom for all sections. The participation is mandatory for all students who are enrolled in this course. BBM 409 Makine Öğrenmesi Lab. dersi için üç ders sınavına girmeye hak kazanan öğrenciler bölüm tarafından açıklandıktan sonra, 21 Şubat Perşembe günü, 1 hafta süresi olan programlama ödevi, bu öğrencilere mail olarak bildirilecektir. Teslim tarihi en geç 28 Şubat Mart Perşembe günü 17:00'dir. BBM 415 Görüntü İşleme Lab. dersi için üç ders sınavına girmeye hak kazanan öğrenciler bölüm tarafından açıklandıktan sonra, 22 Şubat Cuma günü, 1 hafta süresi olan programlama ödevi, bu öğrencilere mail olarak bildirilecektir. Teslim tarihi en geç 1 Mart Cuma günü öğlen 12:00'dir. 13:30'da öğrencilerin Araştırma Lab. 3'e gelerek demo yapması gerekmektedir. 2019 Bahar dönemi lisansüstü giriş mülakat listesi Adaylar mülakata listedeki sıra ile çağrılacaktır. Mülakat 08.02.2019 Saat 09:15'te 1. Kat Toplantı Salonunda yapılacaktır. Katılacak adaylar yanlarında aşağıdaki belgeleri gerekmektedir. Kazanan adaylar 15.02.2019 tarihinde Fen Bilimleri Ens. tarafından ilan edilecektir. The entrance exam for Hacettepe University Computer Engineering Graduate Programs will be held on Wednesday 06.02.2019 at 09:30 a.m. in classrooms D1-D2-D3. Candidates who pass the written exam will be eligible for the interview. A list of successfull candidates eligible for interview will be announced on 07.02.2019 at 17:00 on our website. The interviews will take place on Thursday 08.02.2019 at 09:30 a.m. in the Seminar Hall. BBM473 Database Lab. final exam will be held at 29/01/2019 Tuesday at 13:00 in D8 and D9. BBM 371 Data Management course exam will be held on Thursday (13/12/2018) at 09:30. Dear all, Because of the technical problems of the classroom D4, some of the courses' classrooms have been replaced. For the next two weeks (3-7 December and 10-14 December) the following changes were made. The changes apply only to the section of the course being held in D4. There is no change in the course hours. According to the information from Deanship, for make-up exams, you will apply to the related course's instructor with a valid medical report or an official excuse (Olympic participation, national sports competitions, etc). The make-up exams will be held between 14th and 16th January, the week before the final exams. Please complete your applications before January 8th. BBM 371 Data Management course will be held on Thursday (29.11.2018) for all sections. You are all cordially invited to the “UNI101 Orientation Program for International Students” lecture which will be held on 25.10.2018 Thursday between 09:30 and 14:30 at Mehhmet Akif Ersoy hall. In case this event conflicts with your undergraduate courses, please inform your lecturers and you will be dismissed for the day. The first informative session of BBM453 Computer Networks Lab course will be held on Thursday (11.10.2018) at 12:00 in D8 classroom for all sections. The participation is mandatory for all students who are enrolled in this course. BBM233 Logic Design Labs will start in the 3. week of the semester. Labs will not be held in the first two weeks. For updates please follow the course website and the course site on Piazza. Please follow the website for possible updates. 2018-2019 Fall Written Graduate Admission Exam will be held on Tuesday 03.07.2018 at 09:30 a.m. in Yıldız Amfi M9 hall. As part of a university-wide improvement project in terms of teaching in English (and other foreign languages), our committee has expanded its work to the departments teaching in foreign languages. In order to be able to complete our analysis and find out the problems we are facing, we need your feedback. To this end, we will appreciate if you would spare time to seriously fill out the following survey. In order to be able to access the survey, you will need to login first. For this, you need to write your username and password, which you use to access your Hacettepe e-mail. For each course, you will need to open a new survey and select the course from the list. In this way, you can give feedback for each course you have taken this semester. In case you do not want to do this for every course you have taken this semester, please spare time at least for two courses—so pick two courses to reflect on your best and worst experiences. Please be reminded that you are not supposed to fill out more than one survey for the same course. Also, although the system seemingly allows you to pick a course from another department, when the results are being evaluated, unrelated courses will be removed from the results. Please be assured that your answers will be kept anonymous. The only reason you are asked to login is to make sure that only students from the related department can fill out the survey. Your honest and detailed feedback is highly important for us to improve the level of education at Hacettepe University. With your feedback you will also help your course instructors to reflect on their work. If you have any questions regarding the survey, please do not hesitate to contact me via mpgozen@hacettepe.edu.tr Many thanks for taking time to contribute to our efforts. Our department's make-up exams will be held on 24-25 May 2018. Please contact the lecturer or the related department for the out-of-department courses. Our department's doctoral qualification written exam will be held on 28-31 May 2018 between 09:30 a.m. and 12:30 p.m. in D10 classroom. Our department's doctoral qualification oral exam will be held on 06 June 2018 between 09:30 a.m. and 17:00 p.m. in the seminar room and between 09:30 a.m. and 13:00 p.m. in D5 classroom. TKD Midterm Exam will take place at 15:00 M10 class on 09.04.2018 Monday. Started in 2017, The Undergraduate Research Experience Program (DREAM) facilitates research experiences for our undergraduate students by giving them an opportunity to participate in faculty-mentored research projects, and encourages them to consider research as a potential career. The Department of Student Affairs has defined the FIZ117 as "out of rule" (no connection with another course). Students who have failed (or who have not taken) one of the FIZ 103 or FIZ 104 courses are required to add the FIZ117 to the spring semester program. FIZ117 will be added to the students' program by the Faculty Council if it is necessary. We are happy to announce the new edition of our undergraduate research experience program (DREAM). This voluntary program will give you an opportunity to participate in faculty-mentored research projects, and encourage you to consider research as a potential career. At this moment, we are offering a total of 4 DREAM projects across a variety of subjects. Please check back often because the list will keep growing over time. The deadline for the submission of applications is due by 5 March, 2018 at 12:00PM. P.S. Those of you who are familiar with the previous editions of DREAM will notice that some changes have been made. The DREAM projects will now run for a one-year period. The timeline is summarized in the page titled "Current Projects". PhD Oral Interviews will take place on Wednesday 24/01/2018 at 09:30 a.m.
Master's Degree Oral Interviews will take place on Wednesday 24/01/2018 at 10:30 a.m. Written exam: January 23rd, Tuesday at 09:30, Classrooms D1, D2, D3, D4. Oral exam: January 24th, Wednesday at 09:30, Seminar Hall. The list of those who are entitled to take the oral exam will be announced on the website of Computer Engineering Department. The written exam will be held on Tuesday, 23.01.2018 at 09:30 and the oral interviews will be held on Wednesday, 24.01.2018 at 09.30 The location of the written examination will be announced on the web page on Monday, 22.01.2018. The oral interview lists and locations will be announced after the written exam. BBM436 Microprocessors Laboratory Final Exam will ben held on Friday 19.01.2018 at 15:00-17:00 in D10. The course assesments surveys for the fall term can be found here. Please fill the surveys for every course you have taken this term. General Exam in BEB 650 - Basic Information and Communication Technologies will be held on Wednesday 10.01.2018 at 18.00-19.00 in D8, D9, D10. You can find 2017 - 2018 Fall make-up exam schedule here. 2017 - 2018 Fall MÜDEK Evaluation Meetings will be held at the seminar hall at the dates given below. It is highly recommended that our students participate in these meetings. Our students Cem Aslan and Hayati İbiş won the third place at TÜBİTAK 2017 University Senior Pojects Competition in the category of Virtual Reality. Our senior students Cem Aslan and Hayati İbiş placed third at TÜBİTAK 2017 Undergraduate Students' Software Project Competition in the category of Virtual Reality with their project titled "Visible Crowds: Procedural Production of Urban Crowds with Automatically Generated Dense Annotations", supervised by our faculty members Asst. Prof. Ufuk Çelikcan, Asst. Prof. Aykut Erdem and Asst. Prof. Erkut Erdem. We are proud of their innovative achievements in various research fields while pursuing their undergraduate degrees and wish them all the best in their future endeavors..
2017-2018 fall semester midterm schedule has been updated: . TKD103 Midterm will take place in Yıldız Amfi M13. 2017-2018 fall semester midterm schedule can be found here. BİL/CMP 656 dersi bugün (26/09/2017) yapılmayacak, ilk ders 27/09/2017 Çarşamba günü (yarın) saat 15:30'da yapılacaktır. Ders tanıtımı yapılacak, proje konuları dağıtılacktır. Dersi alan ve ekle-silde almak isteyenlerin katılması gereklidir. Ders gün ve saati, Salı 13:30-16:30'dur. Bu değişiklik, sadece bu hafta içindir. EKO115 kodlu Genel İktisat dersi Yrd. Doç. Dr. Onur YENİ tarafından açılmıştır. 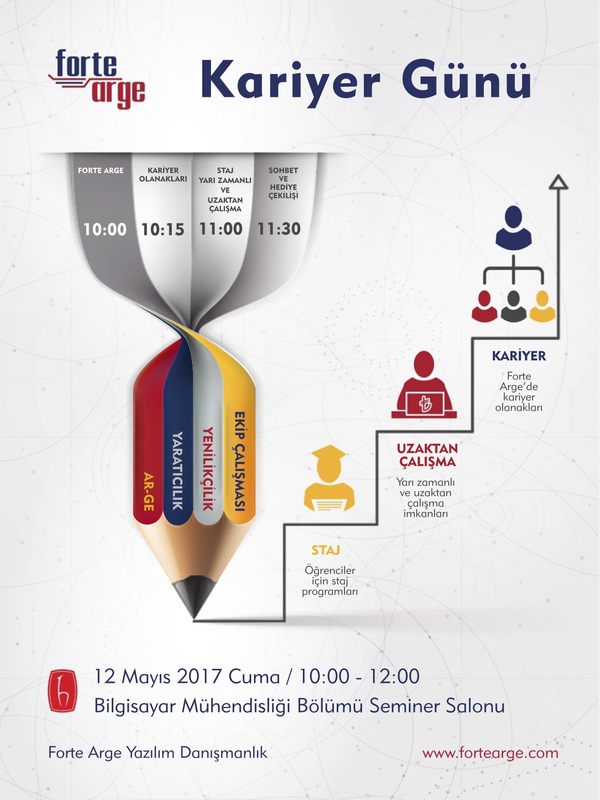 Ders Pazartesi günü saat 09.30-12.00 arasında derslik 4'te (D4) yapılacaktır. İlgili dersi seçmeli olarak almak isteyen öğrencilerin 1 numaralı şubeyi seçmeleri gerekmektedir. Ders ile ilgili bilgilere (AKTS/Kredi/İçerik) aşağıdaki bağlantıdan ulaşabilirsiniz. 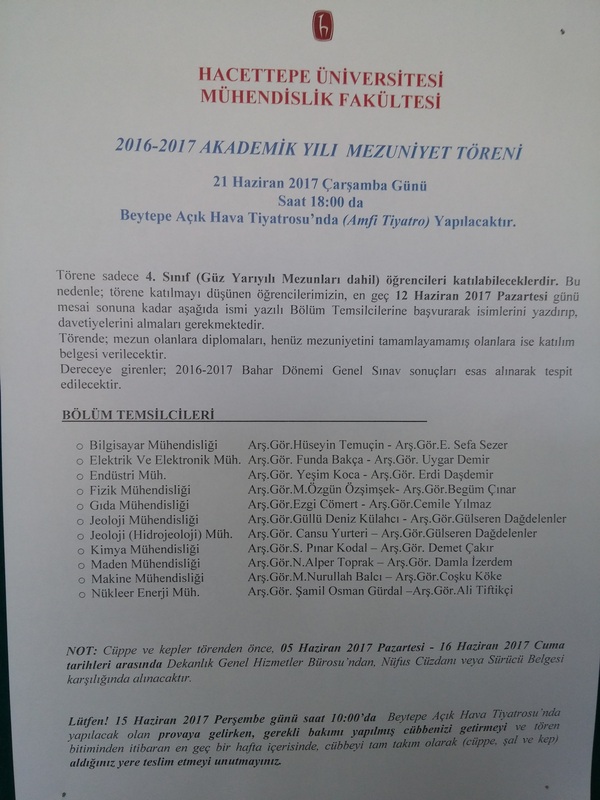 Türk Eğitim Vakfı (TEV) tarafından 2017/2018 öğretim yılında maddi desteğe ihtiyacı olan başarılı öğrencilere "Türk Eğitim Bursu" verilecektir. Bursa başvuracak adayların www.tev.org.tr adresinde bulunan "TEV Eğitim Bursu Başvuru Formu"nu doldurup imzaladıktan sonra istenen belgeler ile birlikte 9-13 Ekim 2017 tarihleri arasında Arş. Gör. Selim YILMAZ'a iletmesi gerekmektedir. Ayrıca adayların aşağıda bağlantısı paylaşılan anketi doldurmaları gerekmektedir. Sorularınız için lütfen Arş. Gör Selim YILMAZ ile iletişime geçiniz (selimy@cs.hacettepe.edu.tr). For the current students at the department , information about BBM419 HAS coded courses and SEC coded courses is updated. - If they have not reached the 3-course deletion quota, they may be able to remove the course they have failed. It is sufficient to apply to the department's secretariat by submitting a course deletion request (Form7- http://www.muhfak.hacettepe.edu.tr/tr/menu/ogrencilerimiz_icin-56 ). - If they have reached the 3-course deletion quota and they are "eligible to graduate" in the fall semester of 2017-2018, they may take another technical elective course / lab instead of the technical elective course / lab they have failed. In this case, they need to submit an application after registering for the replacement course. These students must indicate the course they have failed and the course they are taking to replace it, and must have their advisor approve the application in which "eligible to graduate" should be clearly stated. Note1: If the course that students want to take instead of the technical elective course / lab they failed has another simultaneous course stated in the curriculum, they must take that course as well. Note 2: If the students can not complete the necessary course credit with all the courses they have taken in this semester, they will not be eligible to graduate. Even if the students will have only one course left at the end of the Fall semester and will be entitled to one course exam, the Dean's Office has announced that they will not accept these applications. FİZ138-21 makeup exam - 18.08.2017 at 13.00-15.00 (Physics Eng. Dept.). Bilgisayar Mühendisliği Seminer Salonunda ekte bulunan listelerdeki sırayla gerçekleştirilecektir. 4 Temmuz 2017 Salı günü saat 9:30'da bölümümüz D1,2,3,4,8,9 dersliklerinde, tüm yüksek lisans ve doktora başvuruları için bir ortak yazılı sınav yapılacaktır. Ayrıca yazılı sınavdan ortalamanın üzerinde not alan yüksek lisans ve doktora adayları ile 6 Temmuz 2017 tarihinde sözlü mülakat yapılacaktır. Sözlü mülakat ile ilgili duyuruları bölümümüz web sayfasından takip edebilirsiniz. BBM203 single course exam will be placed in D5 at 16 June (Friday) 2017 10:00. Those who plan to attend the Graduation Ceremony, which will be held on Wednesday, June 21, at 18:00, must fill the form on the given link by Monday, June 12, by the end of business day. Then you can get the invitations from department. According to the world ranking of 2016-2017 prepared by the URAP Research Laboratory which is operating within the METU Informatics Institute, there are 6 universities in the first 1000 of our country in the field of Computer and Informatics Sciences. Our university was 629th in the world and 5th in Turkey. The URAP ranking takes into account the impact of the articles and citations of the universities in the relevant field and the rate of international cooperation as a ranking and evaluation criterion for evaluating the academic performance of the universities over the last 5 years. (Undergraduate Final Exam Update) BBM459 Secure Programming Laboratory Classroom has been changed to D10. 2016-2017 Summer School Schedule Has Been Announced. Click here for 2016-2017 summer school schedule. 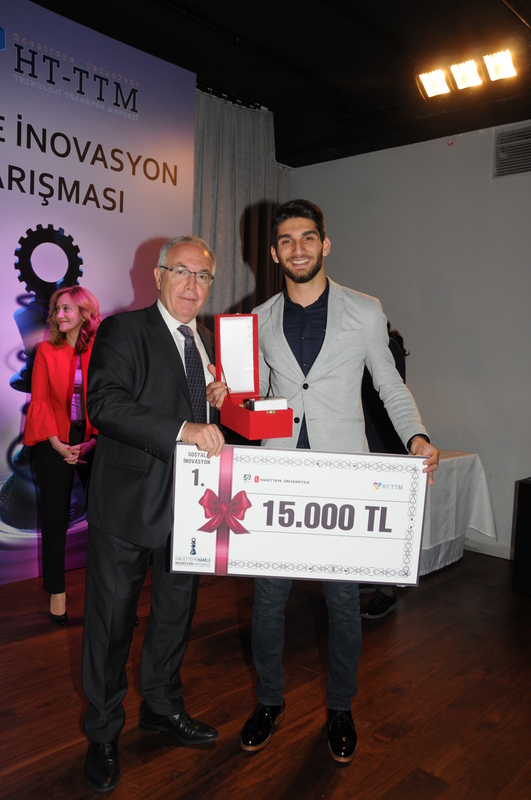 Third "Hacettepe Hamle Inovation Competition" results have been announced. For details click here. 2016-2017 Spring Semester Undergraduate Final Exam Schedule has been UPDATED. Click here for 2017 Spring Semester Undergraduate Final Exam Schedule. The course assesments surveys for the spring term can be found here. Please fill the surveys for every course you have taken this term. 2016-2017 Spring Semester Undergraduate Final Exam Schedule has been announced. 2016-2017 Spring Semester Graduate Final Exam Schedule has been announced. Click here for 2017 Spring Semester Graduate Final Exam Schedule. Click here for 2017 Spring Makeup Exam Schedule. Forte Arge Career day takes place in Computer Engineering Seminar room on May 12. MAT254 1. Makeup Exam will take place in Classroom 16 at the Mathematics department on May 16 May at 09:30. MAT254 2. Makeup Exam will take place in Classroom 12 at the Mathematics department on May 17 May at 09:30. IST292 Makeup Exam will take place at Classroom 4 at Statistics department on 12 May between 13:00-14:15. 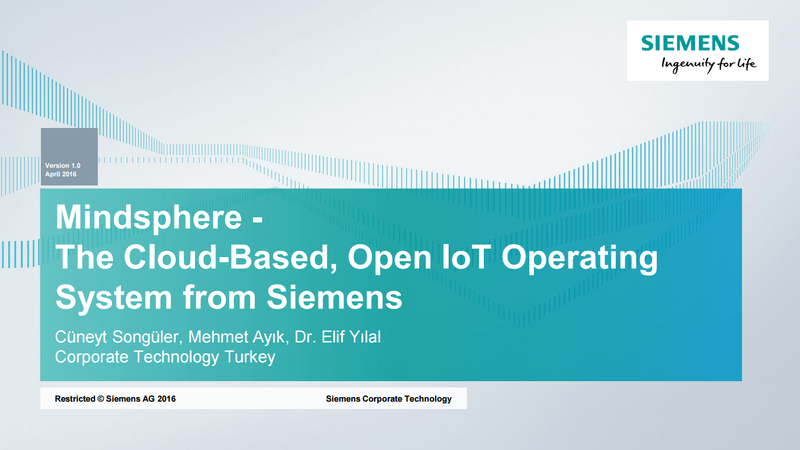 On Wednesday, May 3rd, Siemens company will be visiting our department and holding seminars and activities, starting with a lunch sponsored by them. Bölümümüz tarafından geçtiğimiz yıl birincisini düzenlediğimiz, “Bilgisayar Mühendisliği Lisansüstü Araştırmaları Çalıştayı ve Bitirme Projesi Sergisi” etkinliğimizin, 5 Mayıs 2017 Cuma günü ikincisini düzenliyoruz. Lisansüstü çalışmalar yanında, lisans bitirme projelerinden oluşan bir poster sergisi ile bölümdeki faaliyetleri tanıttığımız bu etkinliğimizde, sizleri de aramızda görmekten mutluluk duyacağız. Etkinliğin sayfası için buraya tıklayın. Mudek student evaluation meetings are going to take place at the following times in our seminar room. HUPROG’17(Hacettepe University Programming Contest) has been completed succesfully. HUPROG’17(Hacettepe University Programming Contest) organised by ACM HACETTEPE hosted the best programmers in Turkey. 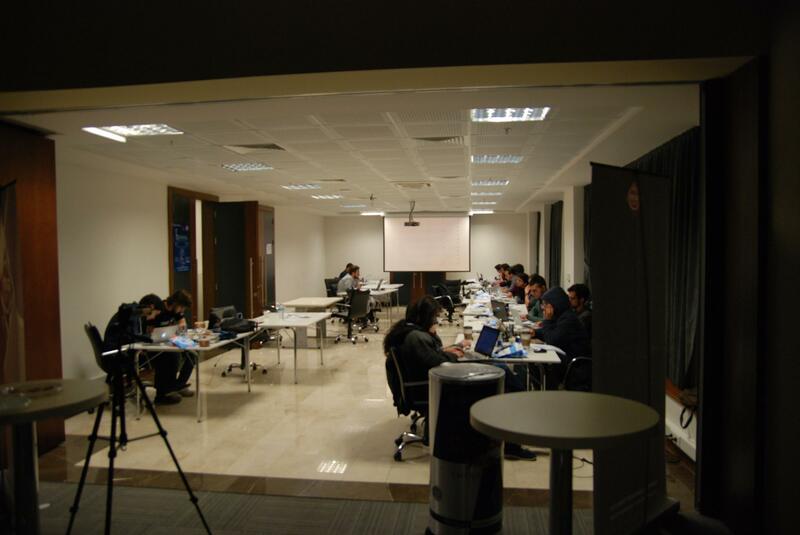 The contest got 105 applications as a team of maximum 3 people from 35 universities. Any student (graduate or undergraduate) who trustes their ability to write algorithms had the chance to apply. At the prelection (April 1rst) 15 teams who made it to the top had the chance to compete at the final stage which was at the 7th of april 13.00 at Hacettepe Teknokent. At the final stage the teams had 24 hours to complete their algorithms. In the final stage, three teams that finished the questions prepared by ‘Question Team of ACM HACETTEPE’ faster got the total prize of 6000TL. 2016-2017 spring semester midterm schedule can be found here. Click here for 2016-2017 Spring Course Schedule. STUDENTS TAKING MAT123 COURSE, ATTENTION! MAT123 course is opened for irregular students only and regular students will leave this course on add drop week. Irregular students MUST register to the branch no 22 of this course. MAT123 Course Schedule: Tuesday 11: 00-13: 00 (M9), Wednesday 13: 00-15: 00 (M5), Thursday 09: 00-11: 00 (M4). Click here for 2016-2017 Spring Graduate Course Schedule. Graduate entrance oral exam list. Written exam: January 30th, Monday at 09:30. Classroom D1,2,3,4. Oral exam: January 31st, Tuesday at 09:30. Classroom D8. The list of those who are entitled to take the entrance exam will be announced on the website of the Graduate School of Science and Engineering. 2016-2017 Fall Semester Graduate Final Exam Schedule has been announced. 2016-2017 Fall Semester Graduate Final Exam Schedule. 2016-2017 Fall Semester Undergraduate Final Exam Schedule has been UPDATED. UPDATED 2016-2017 Undergraduate Final Exam Schedule. The course assesments surveys for the fall midterm can be found here. Please fill the surveys for every course you have taken this midterm. 2016-2017 Fall Semester Undergraduate Final Exam Schedule has been announced. 2016-2017 Undergraduate Final Exam Schedule. We are happy to announce the launch of a new undergraduate research experience program, which we named DREAM. This voluntary program will give our undergraduate students an opportunity to participate in faculty-mentored research projects, and encourage them to consider research as a potential career. At this moment, we are offering a total of 12 DREAM projects across a variety of subjects. Please check back often because the list will keep growing over time. You may find the complete list of scholarships available in various research projects from our department here at this link. 2016 - 2017 fall midterm assessment meetings dates are given below. The meetings will be held at the seminar hall at the second floor. All interested undergraduate students are welcome to attend. EKO 115 Midterm date has been announced!!! EKO 115 Midterm will be held at M12 on 18th November at 10:00 am. Click here to download updayed 2016-2017 Fall semester midterm schedule. Click here to download 2016-2017 Fall semester midterm schedule. ECO115 course location is changed to M12, Yıldız Amfi. Our students Kübra Akeren and Burak Ekici won the first place at TÜBİTAK 2016 University Senior Pojects Competition. Our students Kübra Akeren and Burakcan Ekici won the first place at the TÜBİTAK 2016 University Senior Pojects Competition in the category of Scientific Solutions. Project Supervisor: Assist. Prof. Dr. Ayça Tarhan. Click here for photos and details (in Turkish). 2016-2017 Fall Semester Undergraduate Course Schedule has been updated. 2016-2017 Fall Semester Undergraduate Course Schedule. Senior Project Proposals have been announced. Click here for Senior Project Proposals. 2016-2017 Fall Semester Undergraduate Course Schedule has been announced. 2016-2017 Fall Semester Graduate Course Schedule has been announced. 2016-2017 Fall Semester Graduate Course Schedule. Our students have won IEEE and Alper Atalay Best Paper Awards at the SIU 2016 conference. Dr. Mehmet Koseoglu has been selected to receive a Google Internet of Things (IoT) Technology Research Award. The head of Hacettepe University's Software Engineering Research Group (HUSE), Doç. Dr. Vahid GAROUSI, will offer a two-day intensive doctoral seminar course in the Department of Information Processing Science, University of Oulu in Finland from Oct. 28-30, 2015. Subject: "Industry-academia collaborations in software engineering: a literature review and a practical approach to ensure success"
This course is part of the Doctoral Programme on Software and Systems Engineering in Finland and PhD students from across Finland can attend. Hacettepe Üniversitesi'ne hoşgeldiniz. Mesleğinizi bizlerden öğrenmek için yaptığınız tercihten dolayı öğretim kadromuzun sözcüsü olarak fevkalade mutlu olduğumu belirtmek isterim. Üniversite eğitimi sizlere yeni boyutlar kazandıracak ve sizler de bizimle geçireceğiniz bu yıllarda mesleğimizin ilginç problemlerini belirlemenin ve yeni çözümler geliştirmenin keyfini yaşayacaksınız. Bilgisayar Mühendisliği tüm dünyada kitlelerin yaşam biçimini kökünden değiştiren teknolojilerin çıkış noktasıdır. Bu noktayı doğru okuyabilmek için Hacettepe Üniversitesi'nin sizlere sunacağı olanakları değerlendiriniz. Birlikte eğitim alacağınız arkadaşlarınızdan farklılaşacağınız nitelikleri geliştiriniz ve içinde bulunduğumuz yüzyılın mucitleri olunuz. Değerli öğrencilerimiz, Bilgisayar Mühendisliği dalında uzman olan kişilerin mezun olduklarında tek başına şirket olabildiklerine sıklıkla şahit oluyoruz. Bu sebeple sizler de kendinizi işveren olma motivasyonuyla yetiştiriniz. Girişimci ve yenilikçi ruhunuzu Hacettepe Üniversitesi'nin heyecan verici atmosferi içinde geliştiriniz. Ankara'da yerleşik savunma sanayisi şirketleri, başta Hacettepe Teknokent olmak üzere tüm teknokentler sizler için fırsat alanlarıdır. Bu alanlarda yer alabilmek ve tasarımlarınızı bu alanlarda hayata geçirebilmek için çok çeşitli fonların var olduğunu biliyoruz, ve bunlara erişim kanallarını bölümümüze katıldığınızda defaatle ele alacağız. Sizlerin yaşam tarzında etkili olan mobil teknolojilerin 4G ve 5G altyapıları ile şekil değiştireceğini ve bu yeni yaşam biçimini sizlerin tasarlayacağını unutmayınız. Yeni sonuçlar alabilmek için farklı yöntemleri izleyeceğiz ve bu deneyimin başrolünde sizler olacaksınız. Sevgili öğrencilerimiz, hayallerinin peşinde koşabilen bireyler olmanız dileklerimizle Bilgisayar Mühendisliği Bölümümüzün tüm akademik ve idari kadrosu adına sizleri sevgiyle kucaklıyor, sizleri yetiştiren annelere ve babalara saygılar sunuyorum.